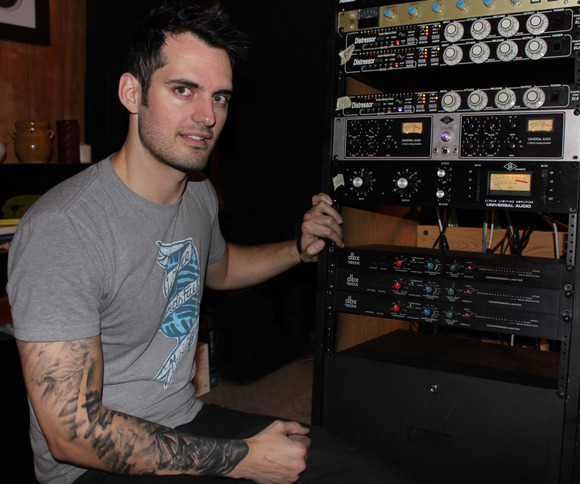 SALT LAKE CITY, Utah – Robert Venable is one of Nashville’s A-list producer/engineers. He’s the owner of Off The Wall Studios and has worked on hundreds of recordings by artists as varied as Megadeth, Scott Stapp, Disciple, INXS, Neal McCoy and dozens more. Venable has won a GMA Dove Award, has been nominated for a GRAMMY and is known for his ability to develop a personalized “sound” for each of his artists, most recently on Kelly Clarkson’s latest album Piece by Piece. One of Venable’s specialties is getting killer drum sounds – with the HARMAN dbx 160x Compressor/Limiter and 386 Dual Vacuum Tube Preamp as key sonic elements.